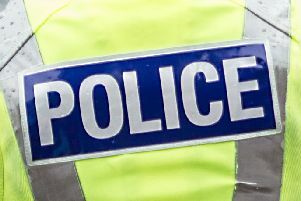 View are being sought as part of Police Scotland's public consultation. People across Scotland are being invited to contribute their views on the futre direction of the police force. Police Scotland has launched a new long-term draft strategy and are asking the public to help refine it. The force says that demands on policing are changing and it needs to adapt and develop to maximise public safety and remain sustainable operationally and financially. It also pointed out that patterns of crime are shifting, often enabled by new technologies, while at the same time the population is ageing, becoming more diverse and the duty to protect the vulnerable is becoming ever more complex. The strategy, Policing 2026, which was developed by the Scottish Police Authority (SPA) and Police Scotland, aims to chart the next phase in the transformation of policing, creating a workforce of police officers and staff who are focused on where they can add most value to protecting and serving the public. Andrew Flanagan, SPA chairman, said: “From a position of strength, we need to ensure that Police Scotland adapts to these changes and has the range of skills and capacity to deal with growing demand and that we do so in a financially sustainable way. Chief Constable Phil Gormley said: “The service must transform to realise and release the full benefits of being a single organisation. Local policing will remain at the heart of what we do, supported by a wide range of specialist capabilities.